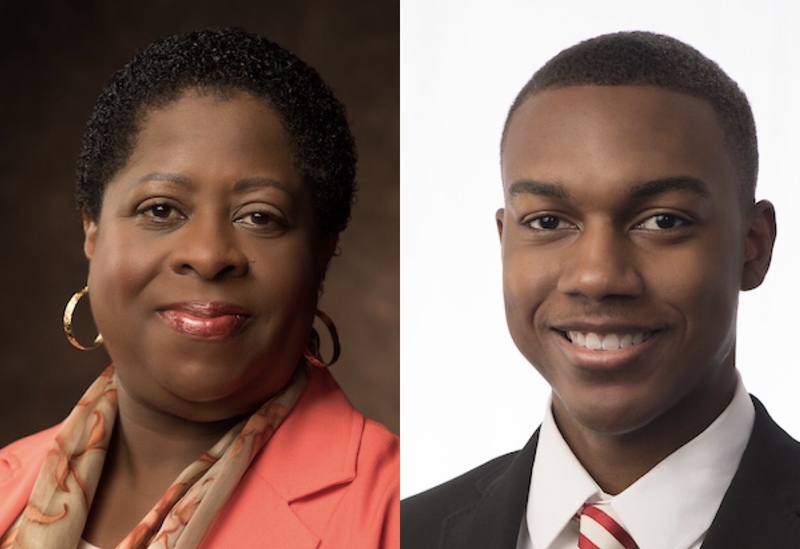 During its statewide conference at the University of Alabama at Birmingham, the Alabama chapter of the National Association of Student Personnel Administrators (NASPA) honored two of JSU's own. Dr. Heidi Louisy, JSU's Chief Human Resources and Diversity Officer, was honored with the Spirit of Diversity Award for her commitment and appreciation for diversity and inclusion and her leadership and direction in fostering a culture of appreciation for multicultural values and the acceptance of individual and group differences. BaShari James, a graduate assistant in University Housing and Residence Life and an MPA student, was presented the Future Leader Award, which recognizes outstanding contributions by a student who has made a significant contribution to their campus, demonstrated academic achievement, exceeded the expectations of their respective leadership positions, assumed a leadership role at their institution and demonstrated an interest in the field of student affairs and/or in higher education. He was also awarded the Umoja Award for Graduate Students sponsored by the African American Knowledge Community of NASPA. This award is presented to an exemplary graduate student in student affairs and services who continuously seeks to integrate their research and practice with the needs of the African American population. He will be presented the Umoja Award at the NASPA annual conference in Los Angeles in March. Congratulations Dr. Louisy and BaShari!